All our Carers at Wardley Gate Residential Care Home undergo intensive training and are required to complete National qualifications. Our dedicated team is passionate about what they do. We have specially selected our staff for their personal qualities, such as being instinctively warm with a natural desire to help others. By working with our residents and their loved ones, our Carers are able to create a detailed personal care plan which ensures a residents’ health and care needs are always met. Everyone has their own unique qualities and our dedicated staff ensure that the care they provide is responsive to individual personal preferences, needs and values. Our Carers know more than names and faces. They know people’s personalities, and can therefore provide all that a resident needs, while at all times respecting their privacy and dignity. There will always be someone to help at Wardley Gate Residential Care Home. Beautiful, spacious and decorated with colourful, tasteful decor but it was the staff that helped in our final decision. 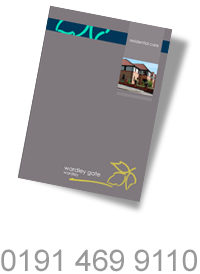 My father has been a resident at Wardley Gate Care Home since October 2015. He is happy, settled, and well cared for. My mother has the best of care you could wish for. It is a home from home for her. Well done to all the staff. My Mother experienced excellent care, had a lovely pleasant room and was always praising the carers who looked after her. This home has a nice friendly atmosphere…. The staff are all good and think of things to occupy and entertain the residents. I cannot fault anything about this home.